But, those problems couldn’t stop Mercedes from becoming the best and top performing team on the current season. Nico Rosberg has crossed the flag first five times so far. The defending champions Hamilton has got two victories till now. As of now, Mercedes has garnered a total of 258 points. They must be looking forward to gathering some more points from the Austrian Grand Prix. The race in Austria will take on Sunday. Following them are Ferrari (177 points) and Red Bull (140 points) respectively. They have proved to be their biggest rivals. And with more races, they will want to fill the gap on the leaderboard by garnering some more points. 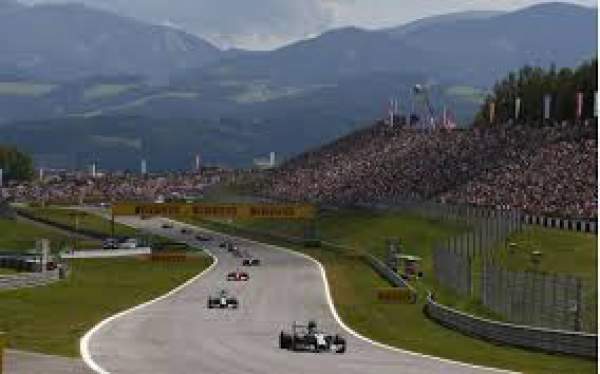 All the racing teams participating in this season will feel the drive to the Red Bull Ring track when they will ride their cars on Friday and Saturday while being in the practice session. Rosberg is on the verge of creating a new record. He has already won two times in 2014 and 2015 in the country. If he wins, he will make a hat-trick. But, Austrian GP 2016 will feel a little different as for the first a new tarmac will be involved and it will feel a little bit tricky. Austrian race will mark the beginning of a very busy month of July this year. There will be as many as four races across the Europe. Their results will have a significant impact on the teams and the standings of all drivers in the points table. Rosberg has shared his strategy. He said that he would be deal with one race at a time. Rosberg performed brilliantly in the European GP. He will again try to beat others. There are other contenders like Hamilton, Daniel Ricciardo, and Sebastian Vettel, who will try to show their mettle. All will definitely race to win, but Rosberg has performed extraordinarily this time by making minimal mistakes this season so far. As a result, he has given very fewer chances to other drivers. Moreover, Sergio Perez, and Nico Hulkenberg, the drivers of Force India have done really well, and the team will be pleased if they can make it to the podium. Disclaimer: We don’t provide any live stream or watch online video. Please purchase subscription packages if you want to watch and/or support the developers. This article is just news and the ways to watch the show/sports program legally.